Your dog may not be able to tell the difference between a night in their bed at home and a night at the Ritz, but that doesn’t mean you can't lodge them in style. 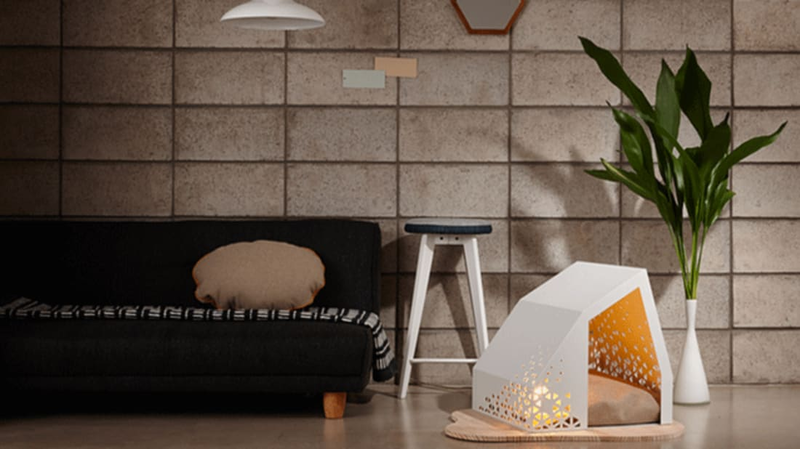 These modern dog houses from the South Korean brand Bad Marlon function as both gorgeous accent pieces for your home and comfortable hangout spots for your pup. The homes are also easy to assemble. Just snap together the magnetic pieces and your dog will be ready for a luxurious upgrade. In addition to three distinct house models featuring asymmetrical, geometric designs, the brand's website also offers a black frame fence and two fashionable felt beds called the Marron and the Ravioli. Prices vary; the beds are set at $82 and $95 while homes cost up to $435. You can check out all of the sleek designs in the photos below. Images courtesy of Bad Marlon.